I'm a big believer in cardigans. I keep one at the office when they decide to turn us into popsicles, I have a small collection (as The Bf says) at home, and I just think they are the most versatile, four season piece you can own. 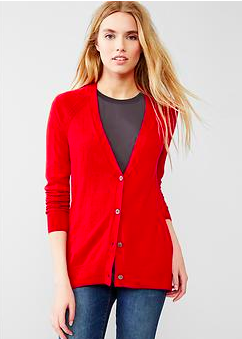 Today we're looking at the v-neck option because it is great for layering. Two words: Dark pine. This color is my new favorite of the season. Have you tried the Gap eversoft line? It's the feel of cashmere without the price. 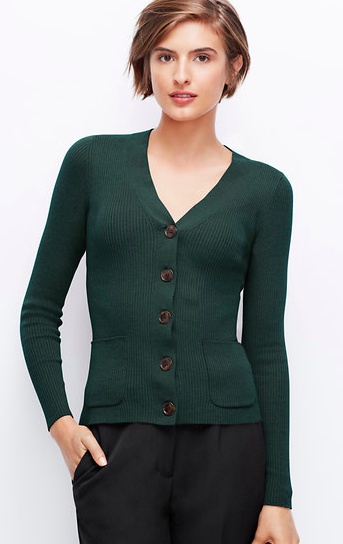 JCrew's merino does not go on sale often. Scoop up this do it all neutral, you won't regret it. 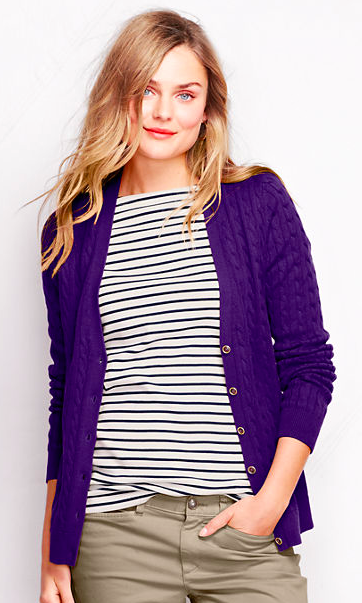 The look of Ralph Lauren with the utility and reliability of LandsEnd, and in a gorgeous violet. 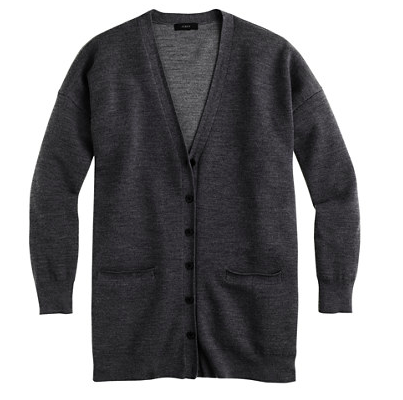 The v-neck cardigan is a classic piece that you can wear buttoned up with a tie neck blouse or wear open with a striped tee for a casual look. It's your do it all piece.